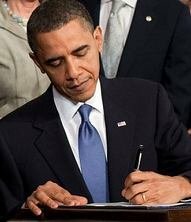 Contrary to President Obama’s pledge that people who like their health care plans would be able to keep them under the new Affordable Care Act, more than two million Americans have been told they cannot renew their current insurance policies since the rollout of Obamacare. As many as 80 percent of people who don’t have a company-hosted plan or insurance through the Medicare or Medicaid government programs may have to find new health coverage, said Robert Laszewski, an insurance-industry consultant in Arlington, Virginia in a Bloomberg report. About 19 million people are included in this market. The 2010 Patient Protection and Affordable Care Act forces Americans to drop plans that don’t meet the law's ten minimum standards, including maternity care, emergency visits, mental health treatment and even pediatric dental care. “Again, I think that insurance companies that have existing products that do not meet minimum standards obviously cannot -- those products are not -- they don’t fit under the Affordable Care Act anymore. There’s a minimum level of insurance coverage that is part of even the most basic plans under the Affordable Care Act,” Press Secretary Jay Carney said in a White House press briefing yesterday. And ongoing issues and delays with the federal website may leave many Americans only a short window of time to secure alternate coverage, and many may end up paying higher premiums. Ian Hodge, 63, of Lancaster, Pennsylvania, who reacted with “surprise and disgust,” when he learned that his insurance policy was cancelled, said he tried ten times to get information about a new policy on Oct. 1, the day the online federal exchange went live, and he is still trying to figure out his options. So far, hundreds of thousands of letters informing people that they will not be able to keep their existing insurance have been mailed according to CBS. In California, 279,000 have been sent; in Michigan, 140,000; Florida, 300,000; and in New Jersey, 800,000. And those numbers will climb even higher. Larry Levitt, of the Kaiser Family Foundation, say the insurance companies have no choice. "What we're seeing now is reality coming into play," he said. Industry experts report that about half the people receiving the letters will pay more and half will pay less, thanks to taxpayer subsidies. Levitt said, "The winners outnumber the losers here, but because of all the website problems, it's hard to find out who the winners are because they don't even know it themselves." Subject: LongIsland.com - Your Name sent you Article details of "Obamacare Leads to Cancellation of Over Two Million Health Insurance Plans Nationwide"